In part one of this video on tone capacitors, I demonstrate the sound characteristics of 7 different capacitors with dialectrics of different material types. Everything is played on my Epiphone Riviera P93 with Vintage Vibe Guitars P-90 pickups, through my Vox VT30 on the Boutique Clean model, mic’d with a Rode NT1 large diaphragm microphone. In the part two, I’ll demonstrate how the capacitance value affects the range and usefulness of the tone knob. ‘Been ages since I uploaded. Hope this makes up for it. I’m putting the GR-55 through its paces plus I’ve cranked things up on the production side. Now back to work on the new TT cd . 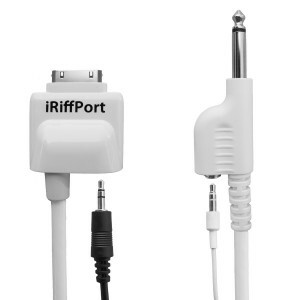 . .
iRiffPort is a new guitar jack for the iPhone and iPad. This is a demo of the Electro Harmonix Ravish Sitar effects pedal. The Ravish Sitar pedal transforms your guitar into a Sitar-like instrument. Rob Marcello (formerly of Danger Danger) demos the Roland-GR-55 guitar synthesizer at the 2011 Summer NAMM Show.